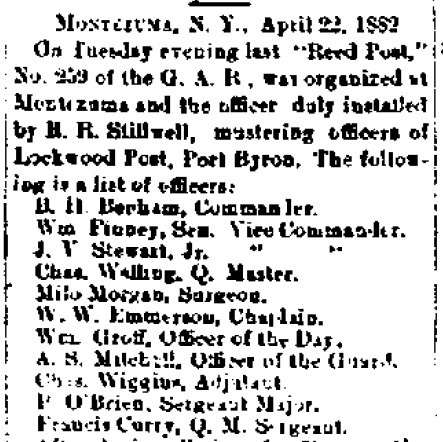 The Reed GAR Post was likely named in honor of Pvt. Franklin Eli Reed, who died at Drewry's Bluff, VA. 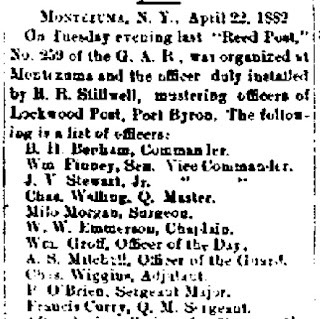 The post was formed in 1882 with the first officers being installed by R.R. Stillwell of the Lockwood Post of Port Byron. The Town Clerk register for soldiers who served in the Civil War indicates that Franklin was the son of Dr. Griffen Reed and Susan Bentley. It is marked that he died in battle. His mother applied for pension, at the time of the application her name was Susan Forshee. The file does confirm that Pvt. 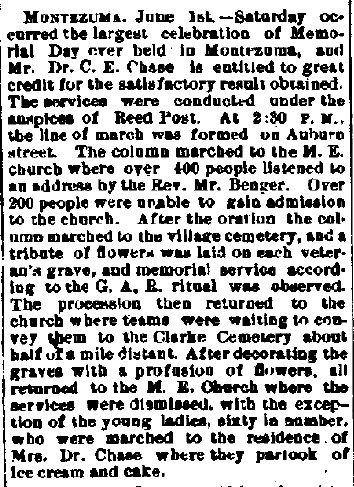 Franklin Reed was "killed in action on May 16, 1864". How long this post was active is not known. There are only a few newspaper articles that acknowledge that the post even existed. The New York State Archives in Albany has the Charter applications for most of the Posts for our State. 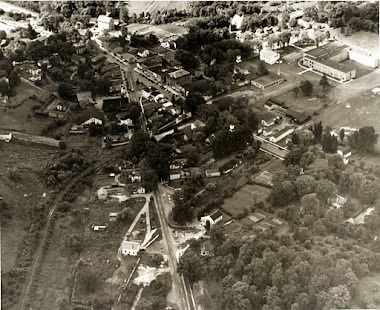 I was aware of the GAR Post in Weedsport and was thrilled to re-discover this additional GAR Post in Cayuga County.